A school bus driver has been charged with careless driving after a three vehicle crash in Essa Township Wednesday morning. 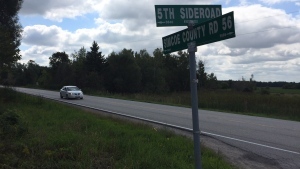 It happened on County Road 56, at the 5th Sideroad of Essa Township north east of Alliston around 8:20 am. Police say the bus was southbound with one passenger on board when it turned left and was hit by a northbound pick-up truck. The pick-up then collided with another vehicle. There was light fog at the time of the crash.